In the last 12 months Austria’s capital saw the rise of a new sort of events. 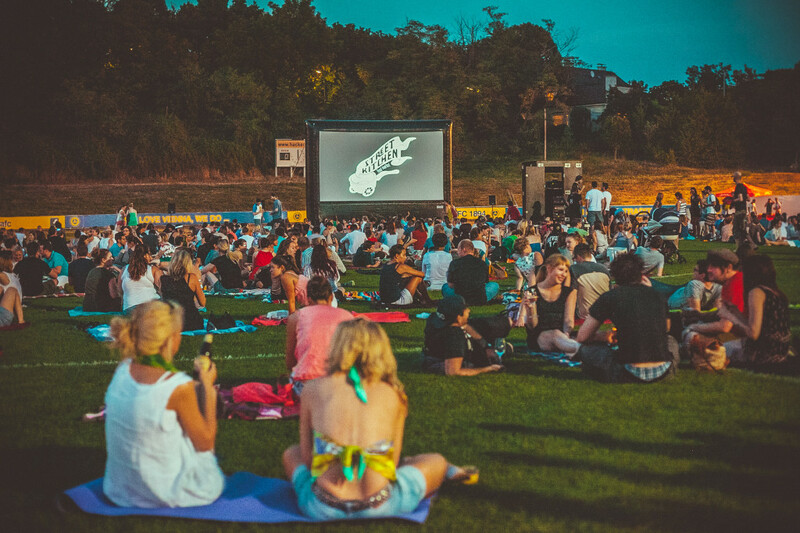 Thanks to Roman Groiss and Gabor Hillinger we can now enjoy Vienna’s first night bazar, the Mondscheinbazar, the Street Kitchen Food Market and the Street Food Cinema. 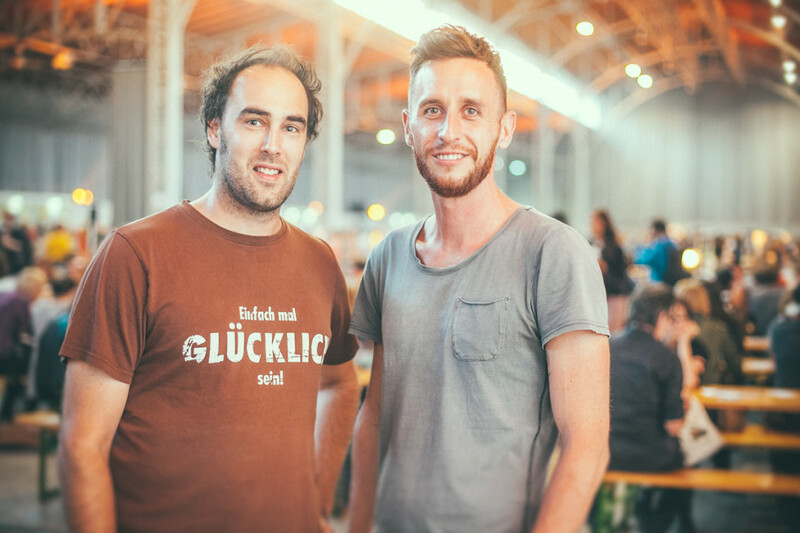 With their startup Mondschein Events the two childhood friends made their passion their profession. 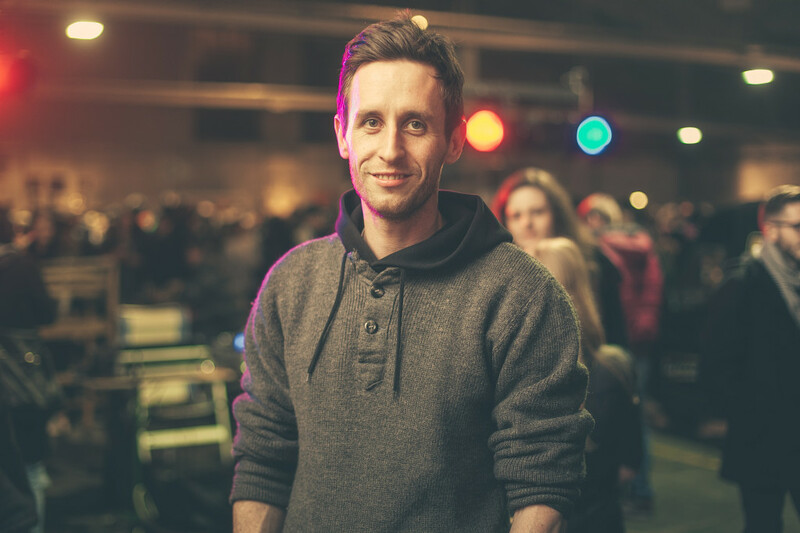 After his apprenticeship in a travel agency, studying tourism at the University of Applied Sciences in Vienna and visiting countless events himself, Roman moved to Munich during his master studies. This is where he discovered the night market „Nachtkonsum“, which is being held in eight German cities. Back in Vienna, Roman adapted the concept, extended the portfolio of exhibitors by including young artists, invited a band to entertain the visitors and organised the first „Mondscheinbazar“ – Vienna’s first fleamarket at night – last year in October. Instead of the expected 500-800 visitors, a crowd of 2500 vintage lovers made the event a huge success. Inquiries about the second edition of the event started coming in on the same evening. Since then the market opened its doors on a bimonthly basis. A big fan of street food from all over the world himself, Roman saw the many requests of gastronomers to be part of his event as a chance to establish the Street Kitchen Food Market. „We thought that organizing a street food market would be similar to organizing our night bazar. It was only during the preparations that we learned that the complexity and effort required was about 10x as high.“, Roman remembers. During the two-day happening the Street Kitchen Food Market drew over 12.000 people into the halls of Vienna’s former cattle market. The team organized the first Mondscheinbazar with a budget of 2.500 Euros roughly a year ago. Their latest budgets read 10x this figure. Roman admits: “We learned the importance of staying humble.” The May edition of the Mondscheinbazar took place over two days in a much larger location. “It was simply too big. It was not as cozy as it should have been, the atmosphere of the Mondscheinbazar was totally lost.” The night bazar is returning to its original location in the 10th district in October. Roman and Gabor have some milestones coming up for the next year. Hiring their first employee will give them support with finding sponsors. “We want to achieve having enough sponsors to finance our events, so that we do not have to charge entrance fees from our visitors and to minimize our personal financial risk.” Besides realizing new event concepts the team is working on landing new clients to offer their services as event managers. Roman admits: “We love working on our own concepts, but these events just barely pay our bills.” Roman and Gabor both gave up their jobs to work on their own venture full-time. “Our strongest motivation is seeing happy visitors and satisfied exhibitors and artists. This intrinsic motivation is necessary to cope with the ups and downs of the event business. But when you are at your own event thinking ‘wow, this is awesome!’ and you see all those happy and laughing faces, every negative thought and exhausting moment just slips away.” Thank you, Roman! The next Mondscheinbazar takes place on October 17th, 2015 at the former Anker-Expedithalle in Vienna’s 10th district. See you there!